What is lucid dreaming? Is it scientifically proven? Can anyone learn to lucid dream on demand? How long does it take? What else can I use dream control for? I'm sure you have plenty of questions about lucid dreaming and this article aims to answer the most burning ones. Welcome to my quick start guide to lucid dreams. Lucid dreaming is the ability to consciously observe and/or control your dreams. It transforms your inner dream world into a living alternate reality - where everything you see, hear, feel, taste and even smell is as authentic as real life. Lucidity occurs during altered states of consciousness when you realize you are dreaming - and your brain switches into waking mode inside the dream. In normal dreams, your self awareness is shut down. That's why they often feel fuzzy and distant. But when lucid, the conscious brain wakes up during sleep. This is a safe and natural state. It is not anything spooky or paranormal (in fact, out of body experiences are thought to be explained by the lucid dream state). With lucid dreams, you are always asleep in bed. And if you want to, you can wake yourself up. But who'd want to do that! When you become lucid, your senses become alive. You can explore the inner workings of your unconscious mind with total freedom. Can Anyone Learn to Lucid Dream? Yes, experts believe so. We all have dreams (whether we remember them or not) and so we all have the capacity to become conscious within them. Children learn to lucid dream intuitively. And certain medications for degenerative conditions like Parkinson's Disease can cause lucid dreams. Age and cognitive ability appear not to factor into the equation. Having a lucid dream is not actually that hard, once you tap into the right mechanism. Research shows that everyone will have at least one lucid dream in their lives, just by accident. And to have lucid dreams on demand, all you have to do is get into the habit of recognizing the dreamstate. 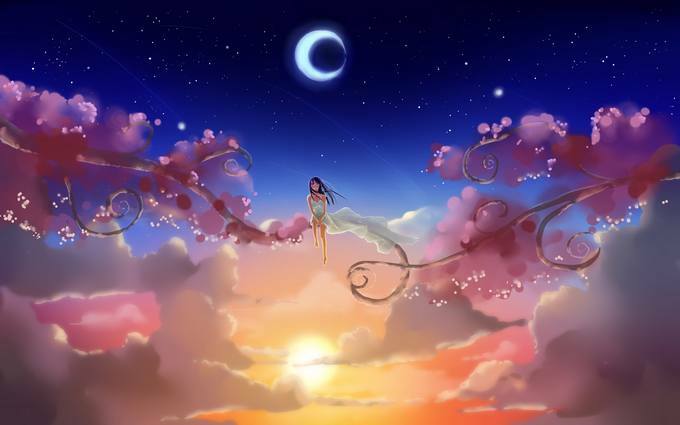 At first, many people are drawn to lucid dreaming for escapism. In your virtual reality dream world, you can realistically fly over cities, meet your favorite celebrity in the flesh, or become a ninja assassin. It is way more realistic than day dreaming or playing your favorite video game. It's like it's actually happening to you.